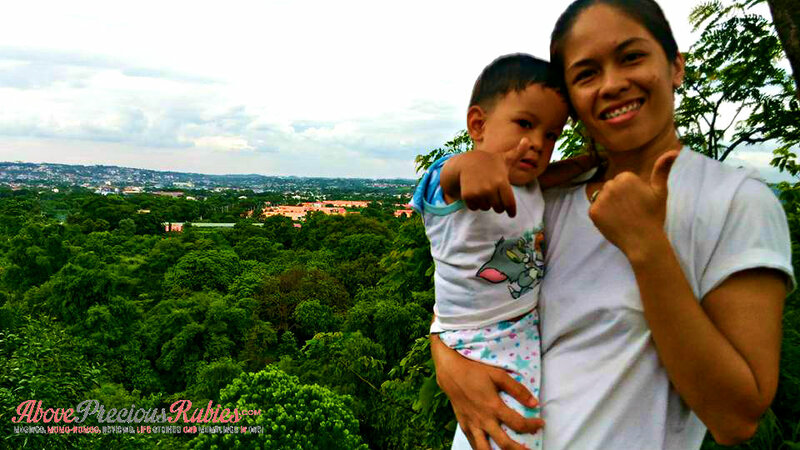 Earlier this afternoon, me, along with Nate and my sister went to the mountain located near our place to see what is in store for us there. We’ve never been to that place before, we’re only used to visiting Timberland, now, we decided to check the mountain beside it. I think we went as far as 2 kilometers, with Nate riding on his little bike and my sister and I switching turns on who will push it. We were able to find a good spot to check the overview of the place and we’re so happy there’s a little river that Nate was able to enjoy. Unfortunately, my phone battery died so we only had a few photos. We’re planning to go back there next week. I had a terrible experience with Lazada about a year or ago, that made me decide to lie low on ordering Lazada products. After about a few months, I started reordering via Lazada again and didn’t have any problem – until recently. You know they have this seller thing going on already, right? Wherein you have products that you can order on their website and provided by a different seller. I found a good keyboard + mouse kit with a good price, I decided to purchase it. I got it yesterday, and, unfortunately, I wasn’t happy. The product has a different color and the USB of the mouse to use to connect the wireless mouse to the PC, is missing! So, now, I have to deal with Lazada again. The returns/refunds policy sounds good. The only problem is, I have 2 other shipments along with this order that’s not delivered yet, so I have to wait for those in order for my order to be “closed”, and once closed, that’s when I can file for return. So I hope I can get the order orders soon so I can file for return already. I only have 7 days to return. haist! I hope everything goes well. June 29 – Worst Feeling! Have you ever been busy at work and at the end of the day, your work wasn’t saved properly? I have, just now. I was trying to complete a task, wrote it in a wordpad, cut it to send via email, when I pasted everything that I cut, they’re not there. Why? Because I already closed the wordpad! huhu! Now everything’s gone and I have to redo everything tomorrow! sigh! My husband and I are trying to save as much as we can, so, in order to save more, I was planning on looking for a part time job or any other sideline that I can do that can generate more income and be able to save more. Today, that plan was realized. I have a little writing gig going on right now, I just finished my first article. The pay isn’t that high but the work isn’t that difficult either. It’s a blessing that I can get be able to have another source of income that I can do outside of work. God is great! July 1 – Oh my gulay, bagong buhay, fly high, July! Wow, is it July yet? omg. I will say this over and over again – time flies!!! In 3 months time, Dane will be 1 year away from us. Thank you Lord for the grace and the emotional strength that you gave us! It wasn’t an easy road, we had a lot of adjustments but by God’s grace, stayed strong and even more trusting that ever. If not for God’s goodness and grace, I don’t know where we’d be today. All praises to him. New month, new challenges and new opportunities. I entrust everything to God. Btw, I don’t know if I have already mentioned it, but Dane has been promoted at work. Isn’t that awesome? hehe. All thanks to God alone. For keeping us both sane during the times we’re away from each other. 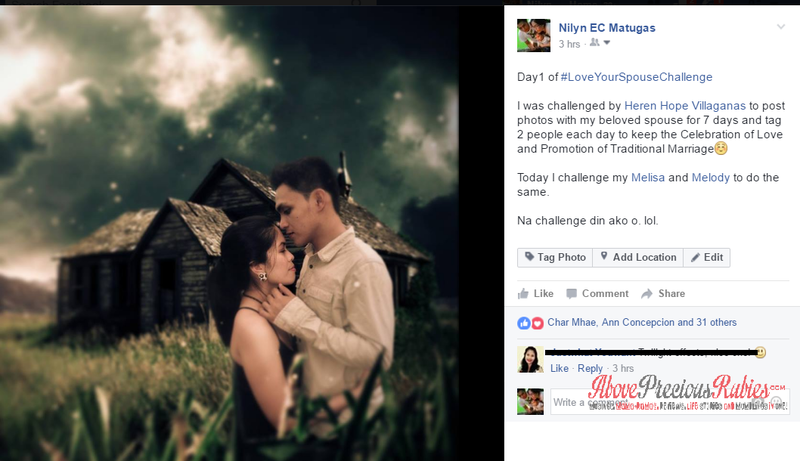 And for that, I’m posting this #LoveYourSpouse challenge, I just got challenged and I’m so on it! lol!